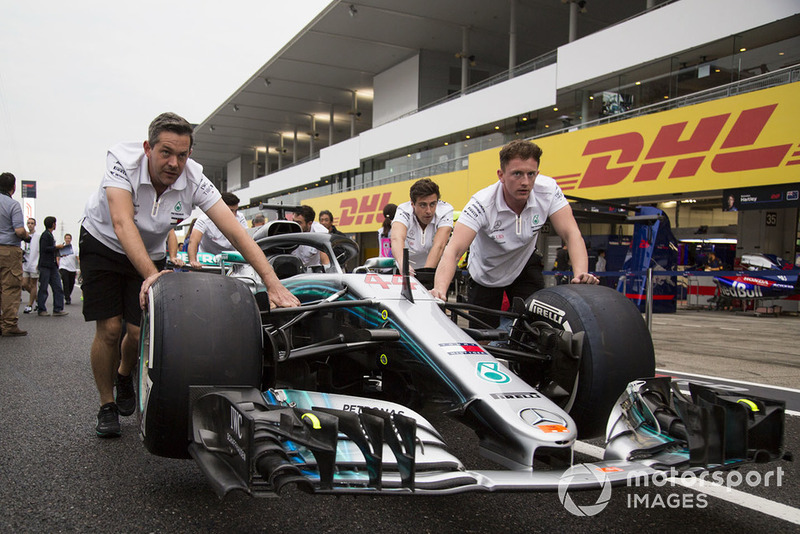 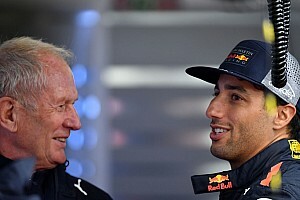 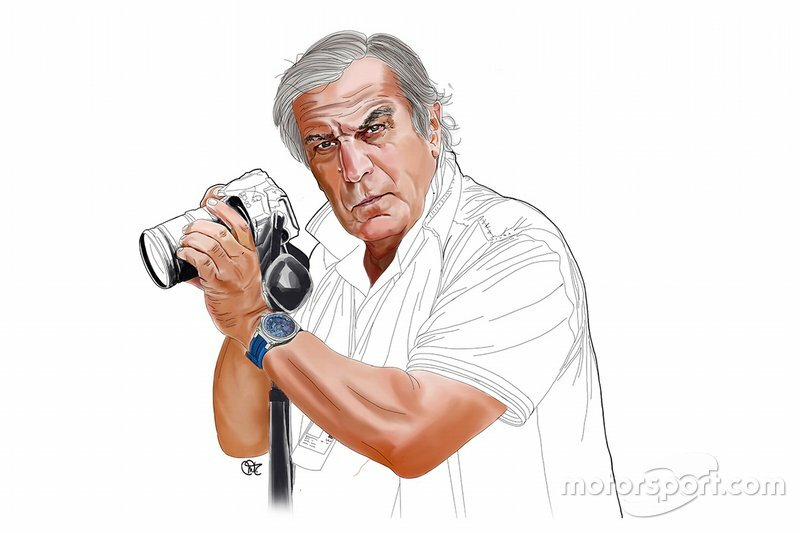 Giorgio Piola and Sutton Images bring you the Formula 1 technical updates on show in the Suzuka pitlane at the Japanese GP on Thursday, giving insight into the relentless development undertaken by the teams in pursuit of more performance. 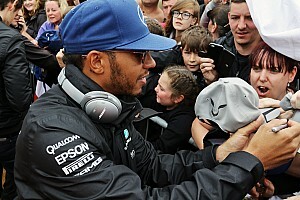 The W09 of Lewis Hamilton is pushed down the pitlane towards scrutineering. 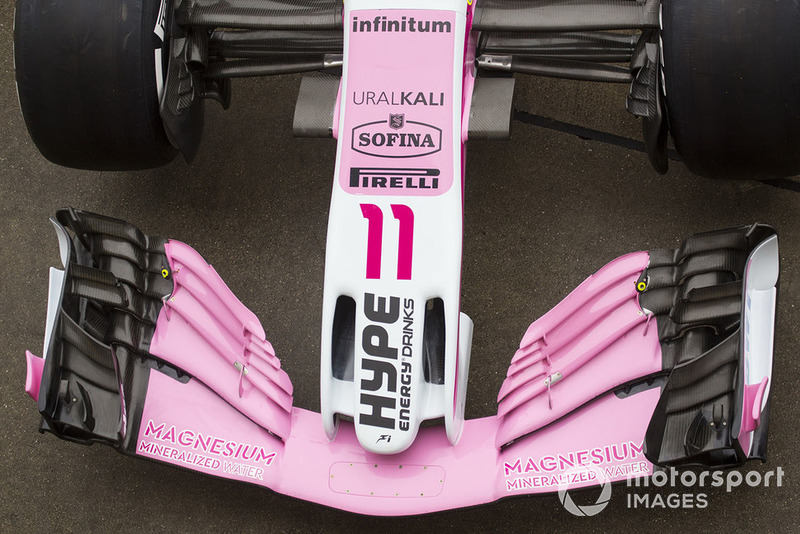 Top-down look at the complex bargeboard region on the VJM11, also note the six strakes on the leading edge of the floor introduced a few races ago. 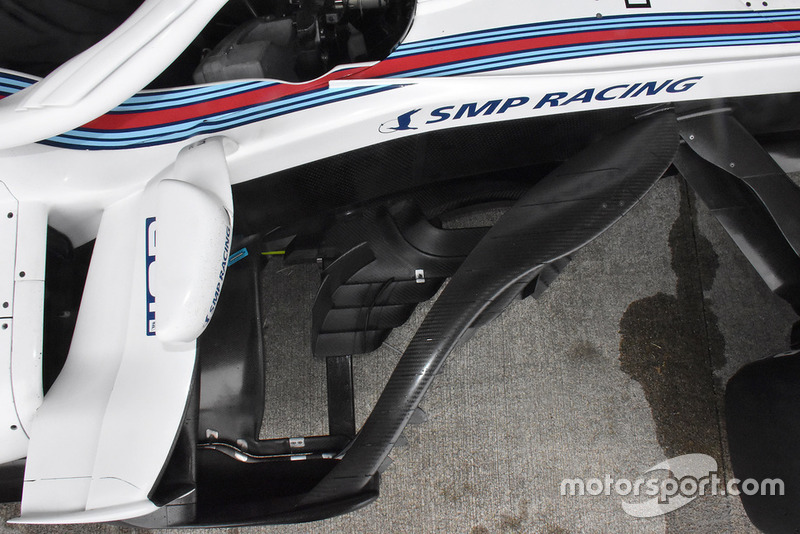 A side shot of the Williams FW41 front wing, note how all of the upper furniture is turned outward to try and push the airflow across and around the front tyre. 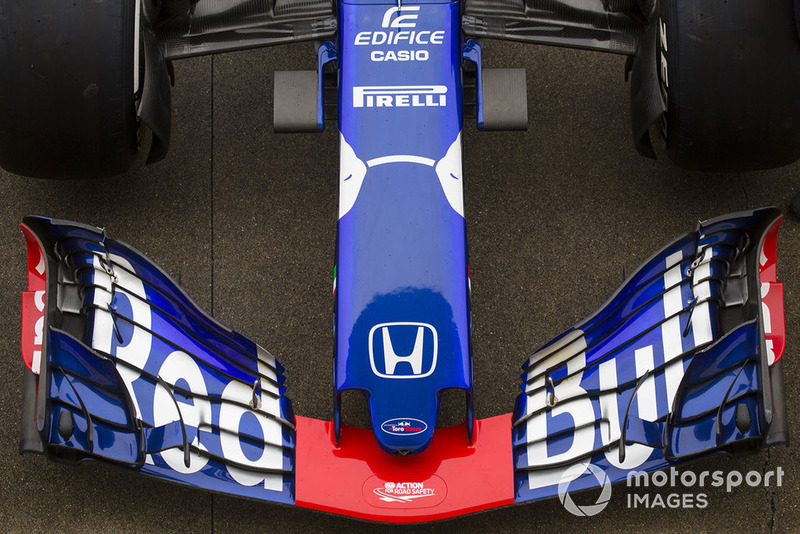 Top-down overview of Toro Rosso’s front wing shows just how much effort is taken to direct the airflow outward. 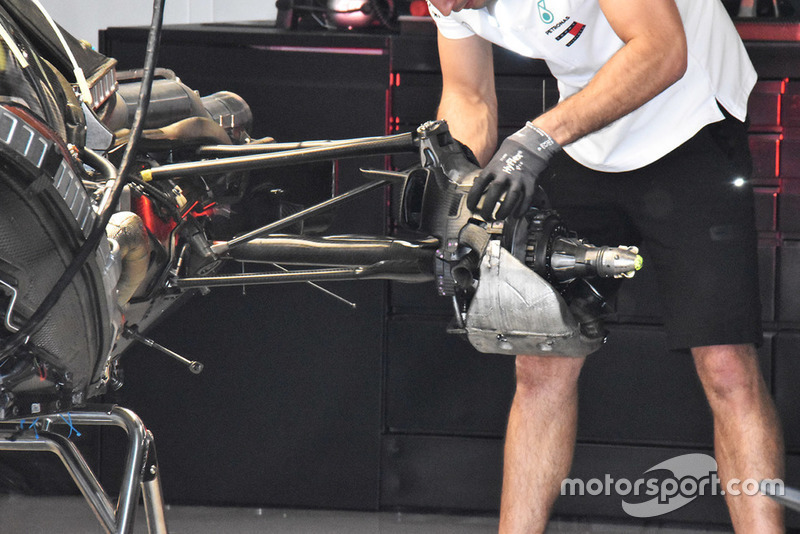 A look at Mercedes’ rear brake assembly as the car is built up. 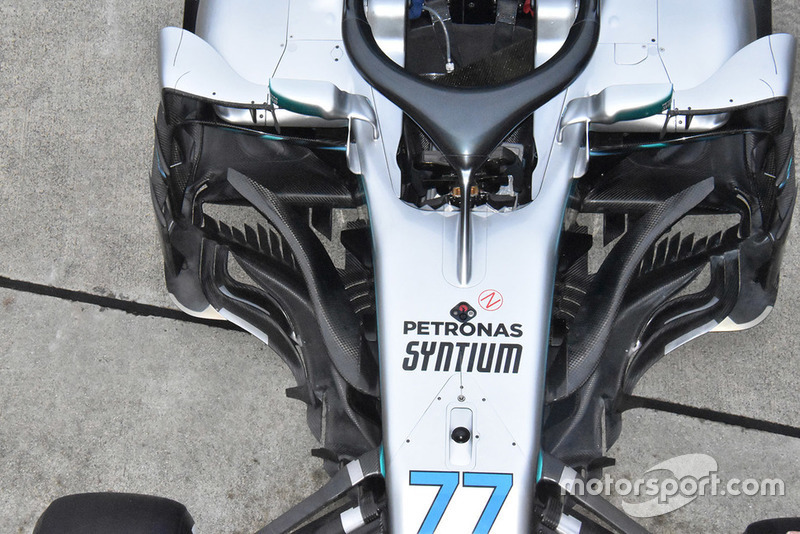 Note how the brake duct inlet not only sends cool air to the brake disc but some of the flow is proportioned off to the brake caliper, which itself is enclosed within the silver-coloured shielding. 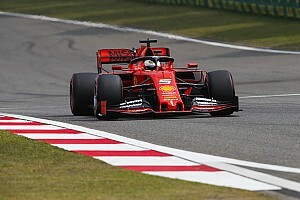 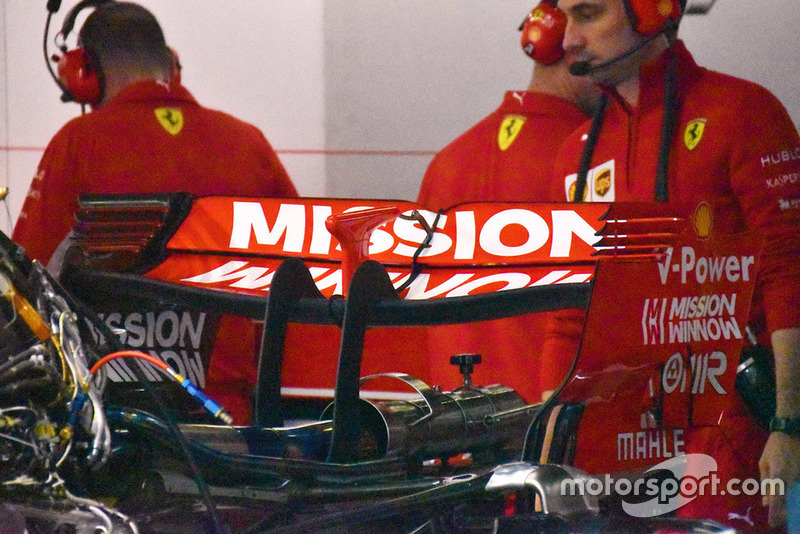 Ferrari with a mixture of lower and higher downforce componentry on the rear wing: spoon-shaped mainplane and upper flap and open-end style louvres, along with the recently-introduced straked endplates. 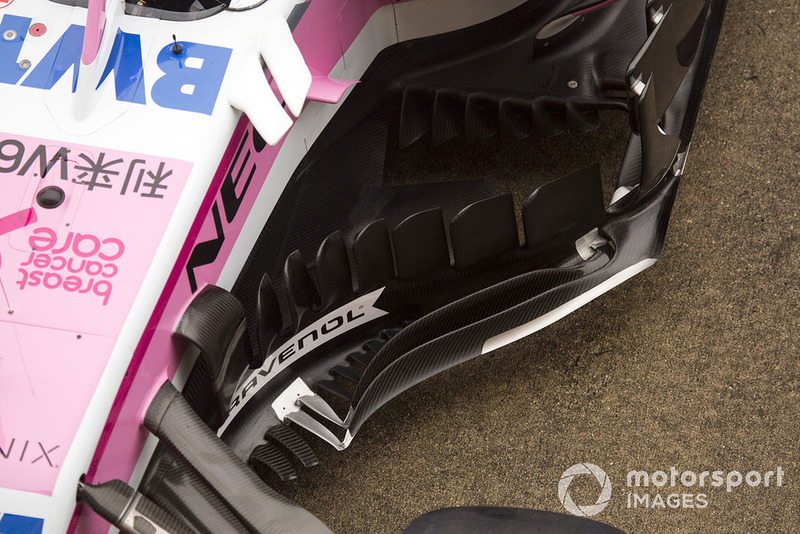 A top-down overview of Force India’s front wing and ‘Cobra’ nose which helps to feed the airflow on the underside of the nose. 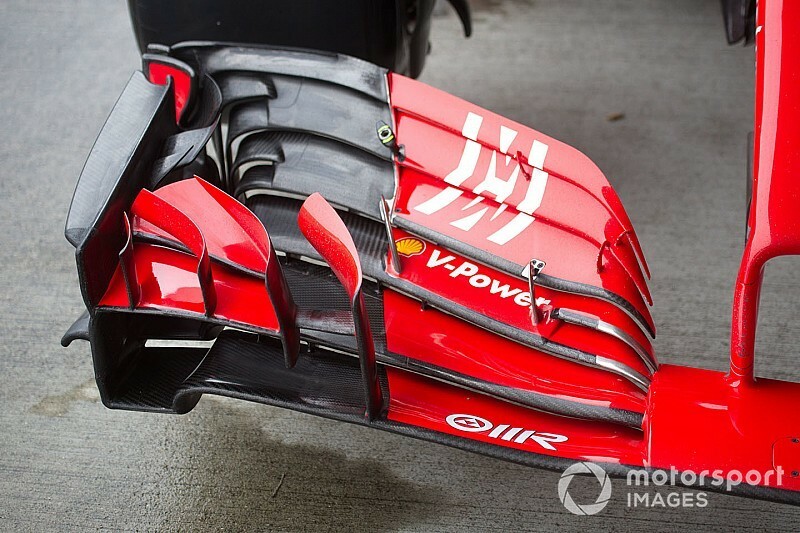 A great view of the immensely complex region ahead of the sidepods, with the bargeboards and its various ancillary surfaces, the chassis boomerangs and the upturned leading edge of the floor which is furnished with strakes. 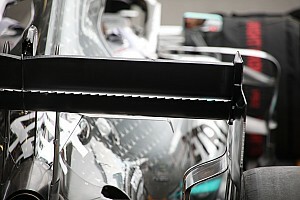 A close up of the front wing specification introduced at the last round in Russia. 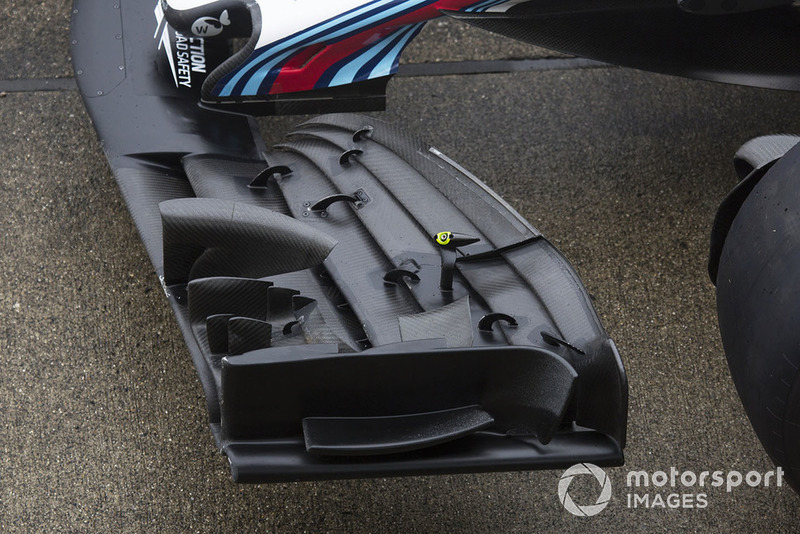 An interesting look at the area ahead of the sidepods on the Williams FW41 reveals that their splitter extension is split into five distinct surfaces. 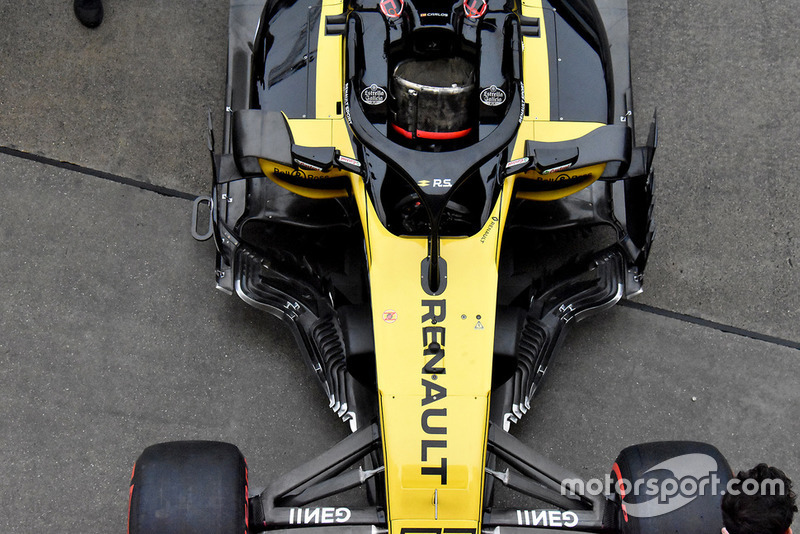 More is definitely the answer for Renault, as the amount of surfaces surrounding the bargeboards is unrivalled by the rest of the field.